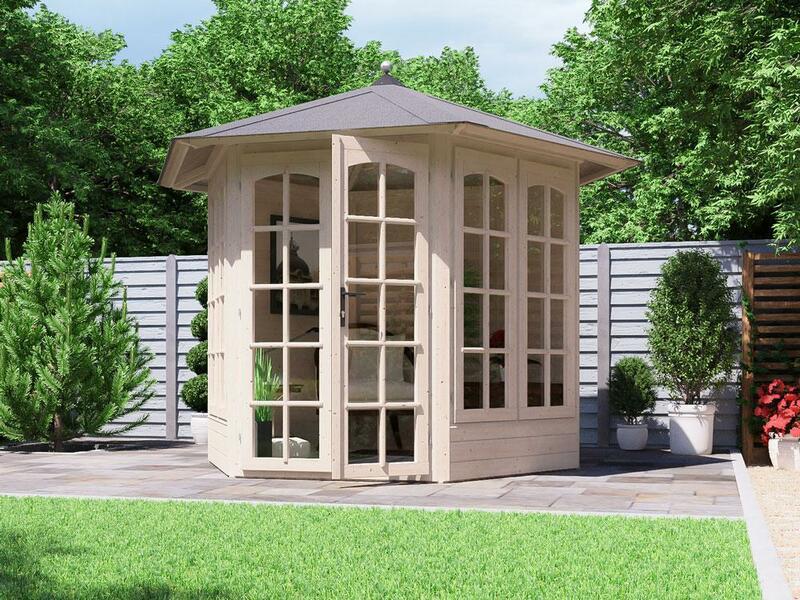 What are the features of a Dunster House Garden Office? 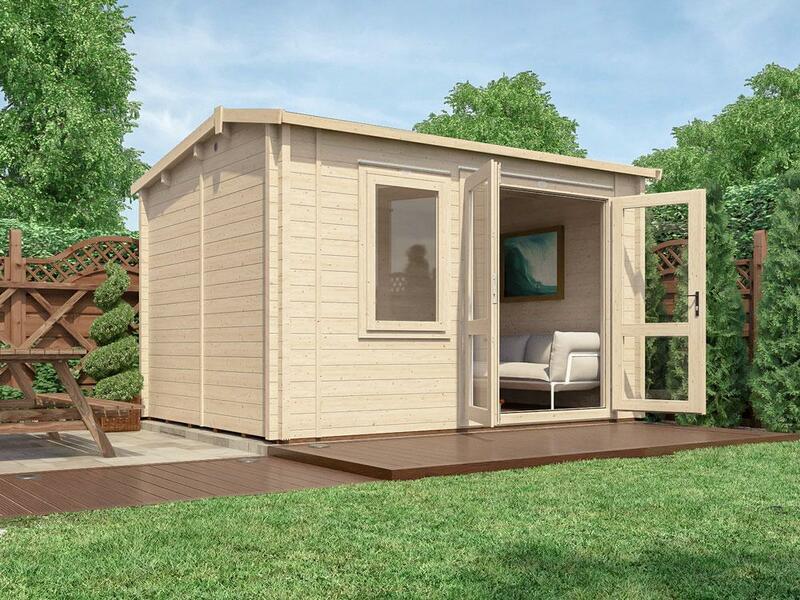 Our garden offices range is a step above the rest, packed with features to separate it from competitors and our range of Log Cabins. 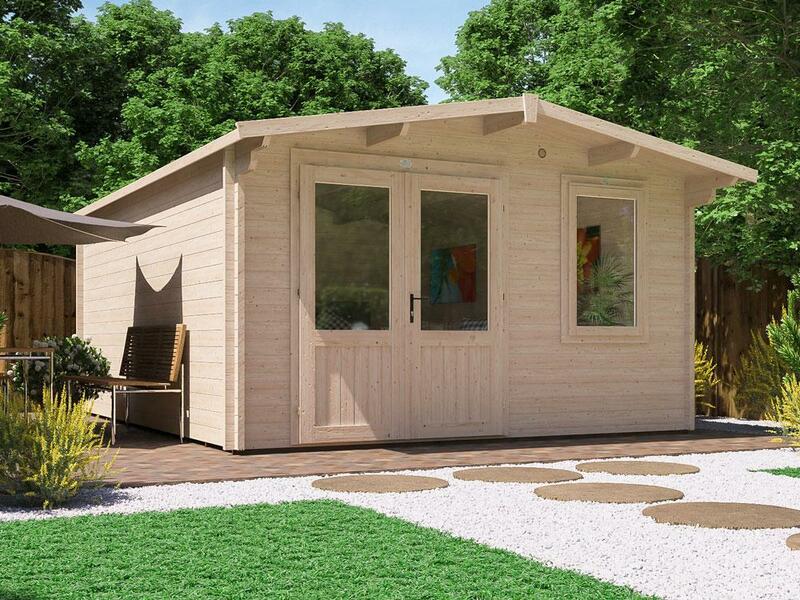 To help with the transition of working from home or in an office, we have tried to produce the same domestic standards in our garden offices. 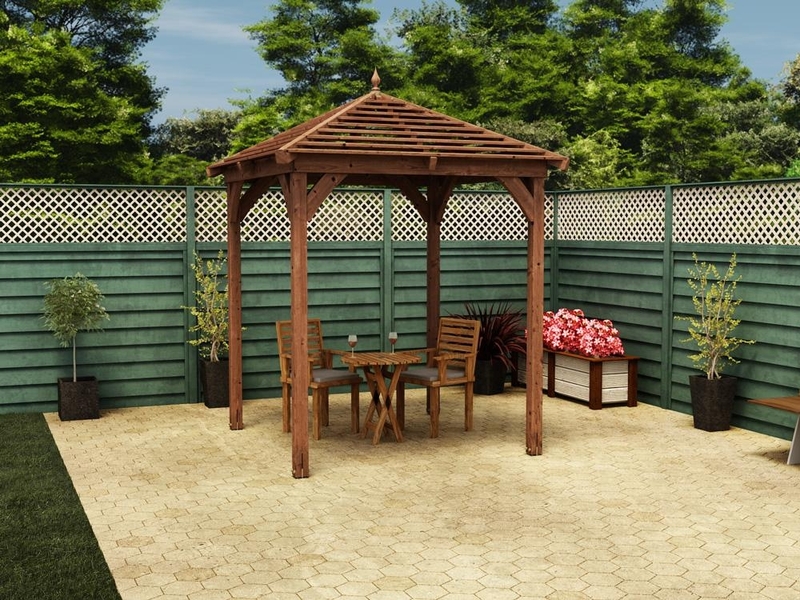 We've thought about everything from construction and aesthetics to practicality and comfort. 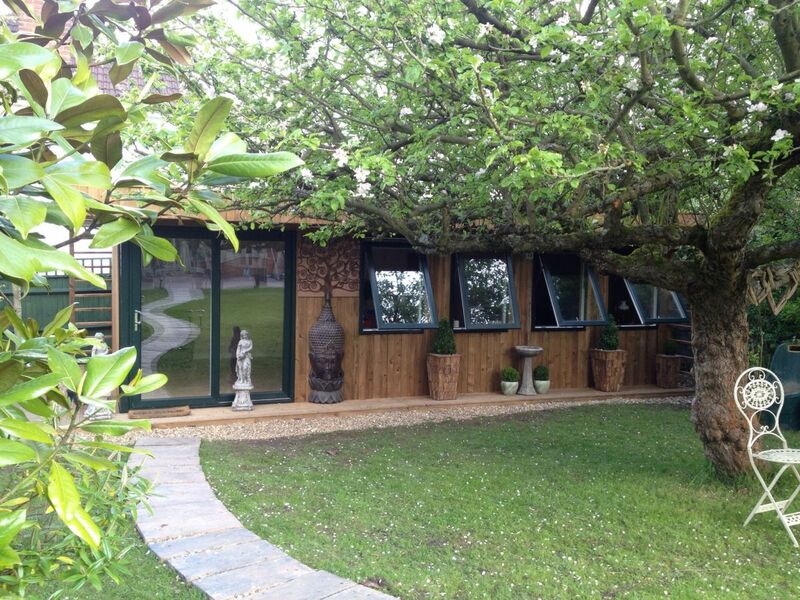 The garden offices feature 117mm insulated walls. Working from the outside in, the walls are comprised of: 12mm pressure treated tongue and groove timber for an attractive exterior, a 70mm timber frame that keeps the panels structured and rigid, 25mm Polyurethane Insulation which retains heat far better than cheaper alternatives such as polystyrene or rockwool, and then 10mm Plasterboard for a clean interior finish. The construction of our walls creates a high retention of heat, calculated at a U-Value of 0.62W/m2k. This is largely due to the Polyurethane core. 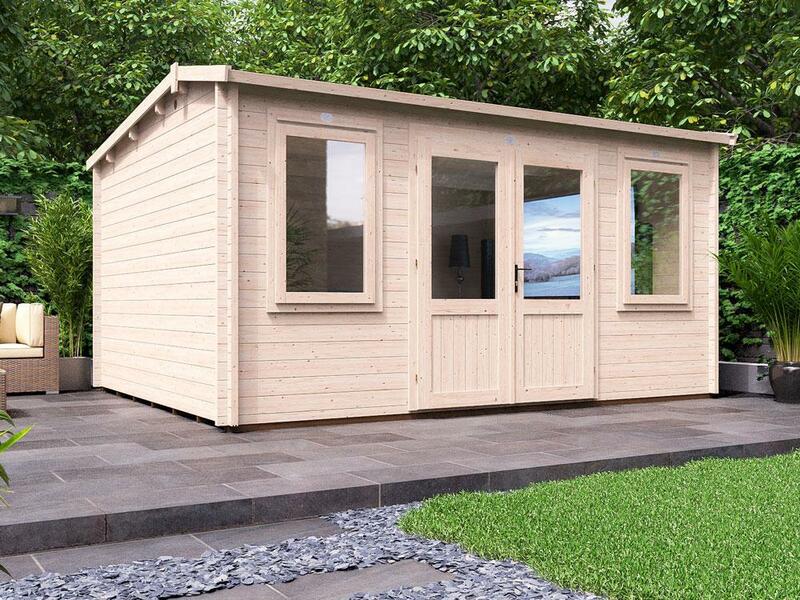 This is much more impressive than the garden offices of some competitors which offer 45mm un-insulated walls with U-values of roughly 1.9W/m2k. A U-Value relates to how much energy is lost through a material, hence you always want as low a number as possible. To ensure that the insulation in the walls isn't wasted by heat escaping from the roof and floor, we've insulated these too in a bid to keep your heating costs low. 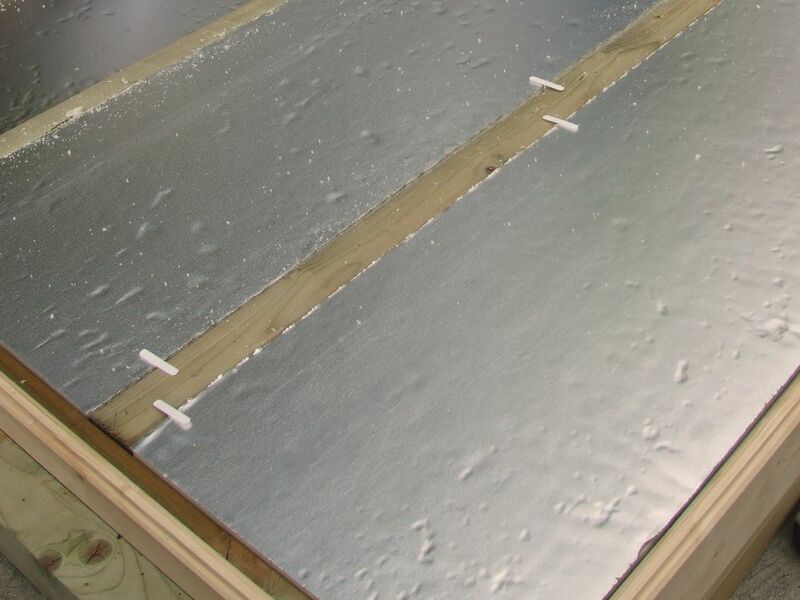 We use unique Structurally Insulated Panels for our floor. 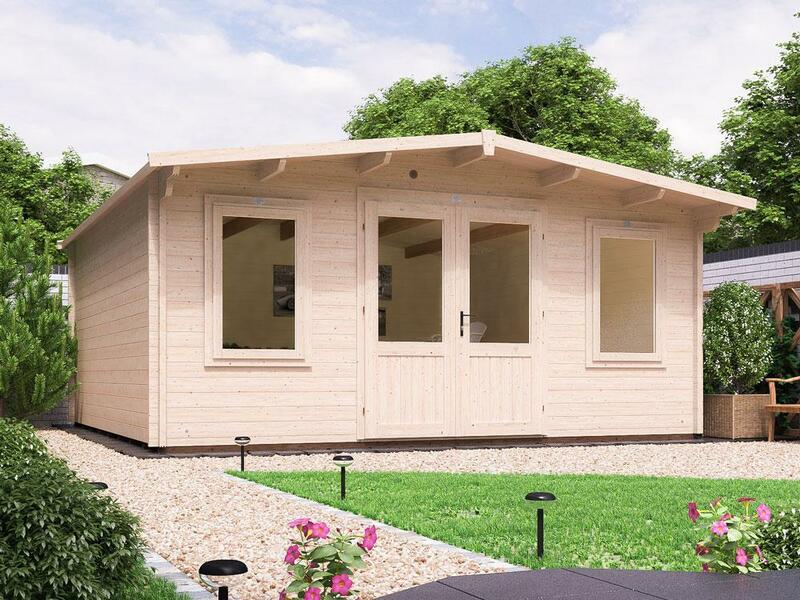 This is a chemically bonded sandwich panel of 10mm MFP, 25mm double backed Polyurethane and then 10mm MFP, providing a 45mm thick insulated floor that is reinforced with integral wooden battens to add strength. To our knowledge we are the only company to offer such a technically advanced flooring system which combines strength and very high insulating qualities. 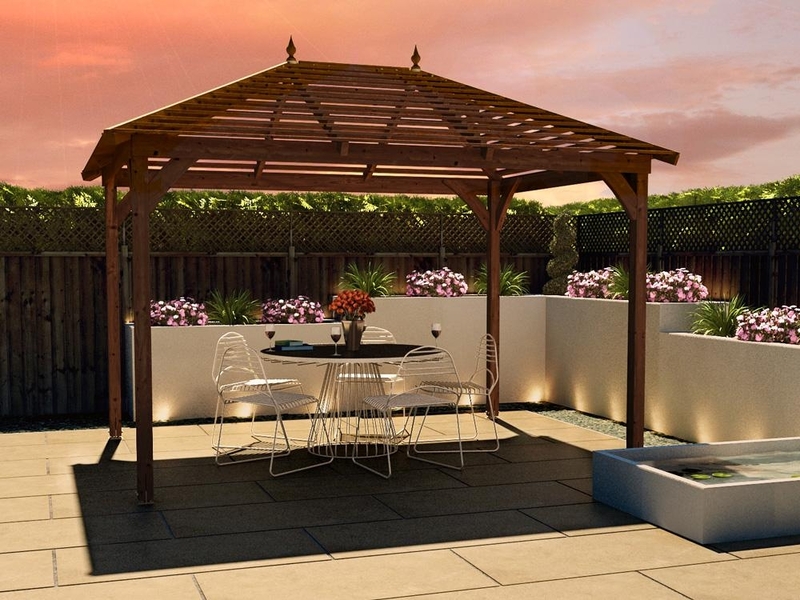 The roof is constructed slightly differently, We use 10mm Plasterboard on the interior of the roof to continue the same attractive, clean finish as on the walls. From that, inside the roof we slot 25mm Polyurethane Insulation between the strong structural 140mm-280mm high purlins, leave a small cavity, to allow air exchange and stop damp building up. The roof is then finished off with 10mm MFP board and finally EPDM, resulting in a roof that slopes from 160mm to 300mm thick, perfect for retaining heat. Using a technique unique to Dunster House, we’ve been able to create panels that simply slot together, ensuring the rigidity and strength of this office surpasses many alternatives. This means that the panels are reasonably customisable. 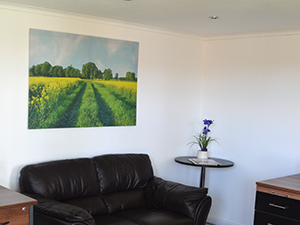 Unlike a lot of our competitors, we use plasterboard for our office interiors. It is the only way you will end up with a wonderfully smooth plasterboard finish where all the joints have been taped and jointed, just as it would be in any new timber frame house. This means that the inside of your office will not be sullied by crisscrossing trims trying to conceal the panel join seams or multiple polypin nail heads sprouting out of panels leaving you feeling like you are working in a glorified portakabin. 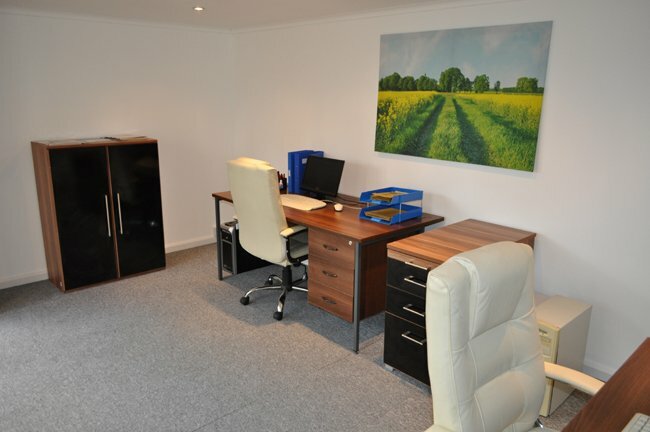 This is why we are one of the very few companies who will actually show you a close up of our office interiors. Consumers sometimes avoid the use of plasterboard through apprehension over the appearance of cracks. 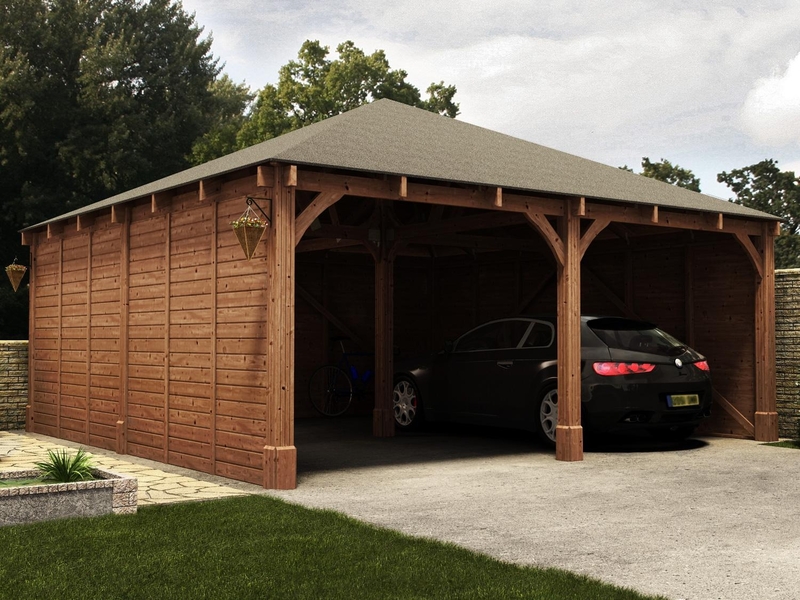 Our own 70mm x 35 mm frames (these are finished sizes not nominal – nominal is the size prior to planing the timber and would be 75mm x 38mm), offer the appearance of a newly made timber framed house. 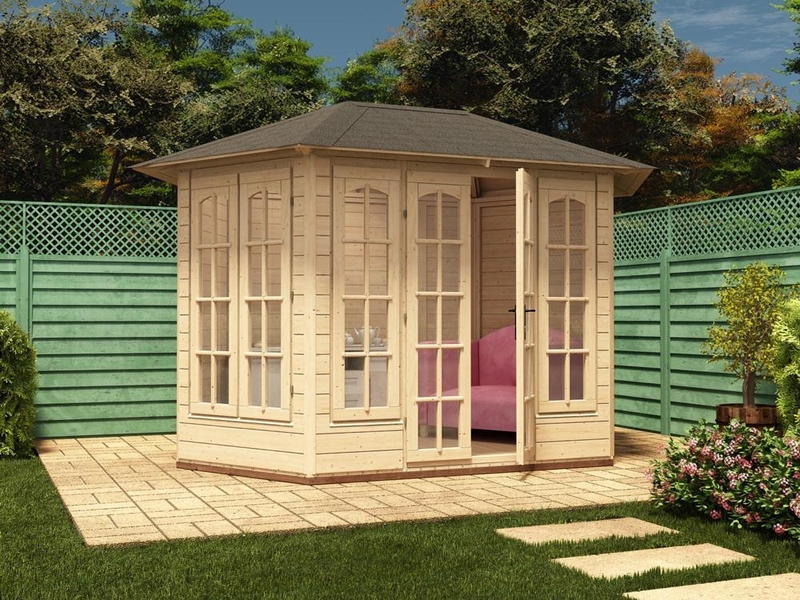 You do not see cracks appearing in the boards of a newly made timber framed house, why should you see them in a similarly framed garden office? 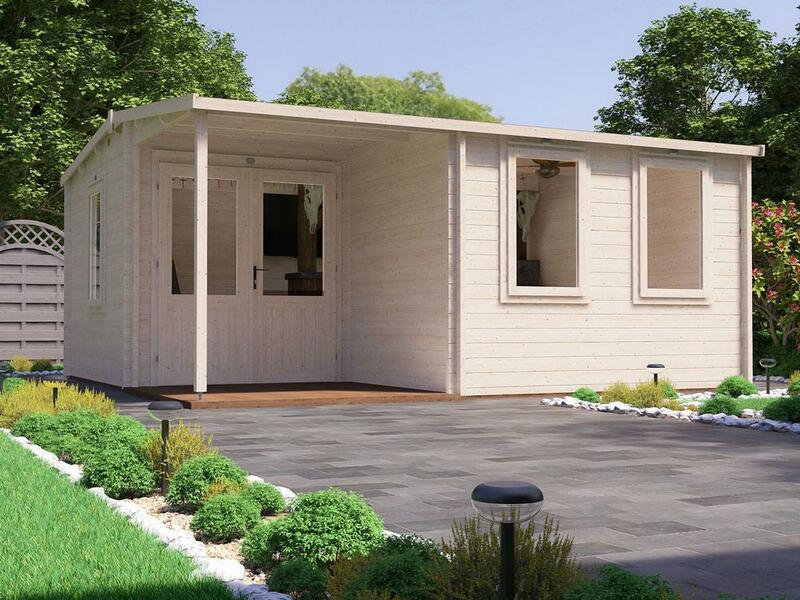 Plasterboard is a superior option to MDF, polyester vinyl coated plywood, or even tongue and groove timbers. Unlike the aforementioned, plasterboard is also fire resistant and gives thirty minutes of fire protection; the reasoning behind its use in houses. We have searched comprehensively to find other companies offering a plasterboard finish and they are all usually at least twice as expensive as our own offices. We do it as we want to be the best! A common apprehension over cracks forming comes from where the skirting boards meet the plasterboard. This is due to floor movement, typically near staircases, and the natural settling of the house. For this, we have found a neat solution, which also solves the problem of unsightly wires for your home office equipment. We provide a skirting board conduit. We have searched extensively for what we consider to be the closest analogue of a normal house skirting board; in fact, it is so close in appearance it goes largely unnoticed. This conduit does not crack where it meets the plasterboard as it is not sealed to the plasterboard! As a conduit you need to be able to open it, thus it sits very nicely next to the plasterboard and you need not worry about cracking where the two join. To keep with this style and encourage a homely feel as a finishing touch to our office ceilings, we have added coving to soften the join between the walls and roof. We have not neglected the outside either. 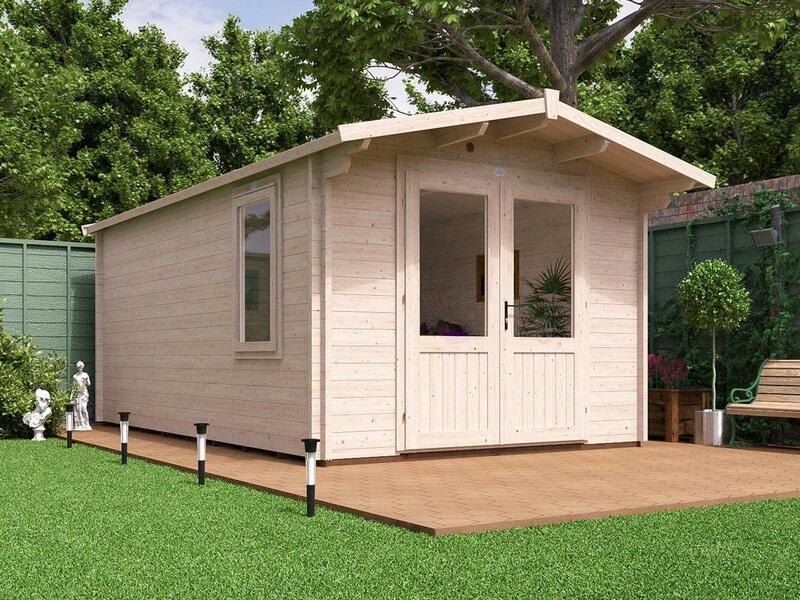 As standard, we pressure treat our garden offices in our very own pressure treatment plant, leaving you with a pressure treated 12mm overlap finish and a 10 year guarantee against rot and insect infestation. 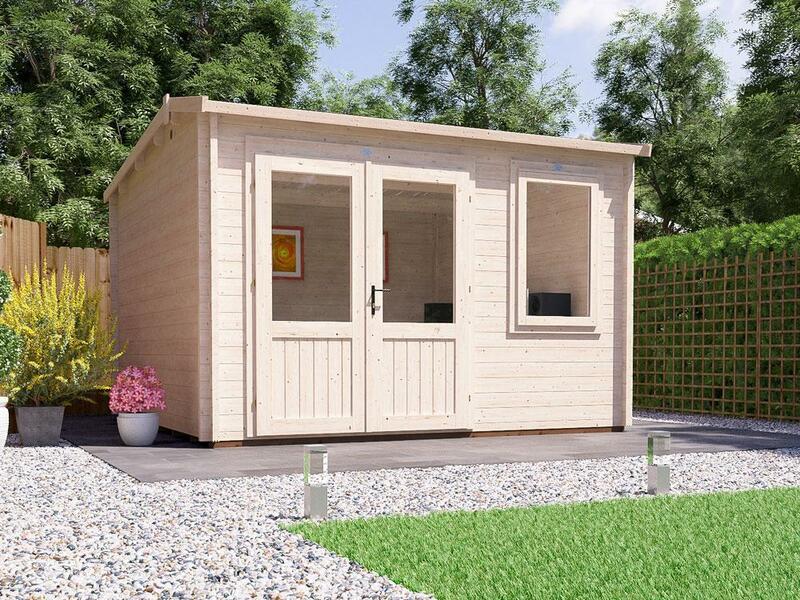 By pressure treating our garden offices there's no need for it to be re-treated annually, an excellent alternative to an untreated garden office which could be purchased from a competitor which would need to be re-treated each year. 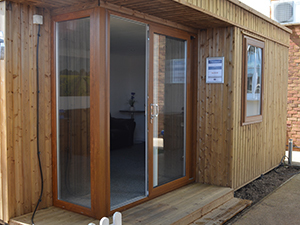 Another highly specified area on our offices is the windows and doors; we manufacture these ourselves in our Bedford Factory and they are made to the same high standard as the ones we sell for houses. 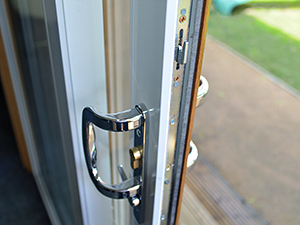 The windows have multi-point locking systems with espagnolette mushroom headed locks, whilst the patio door has a 4 point locking mechanism, with a 6 pin euro cylinder barrel, as specified on home insurance policies. These are supplied with 28mm sealed units made to the same high standard as we sell for houses and we have been making windows and doors for over 20 years now, so we know what we are doing!